"[Two cows, one horse and one dog] are used to train students from third, fourth and fifth years in three different subjects - propedeutics of internal diseases, propedeutics of surgical diseases, obstetrics and gynecology. 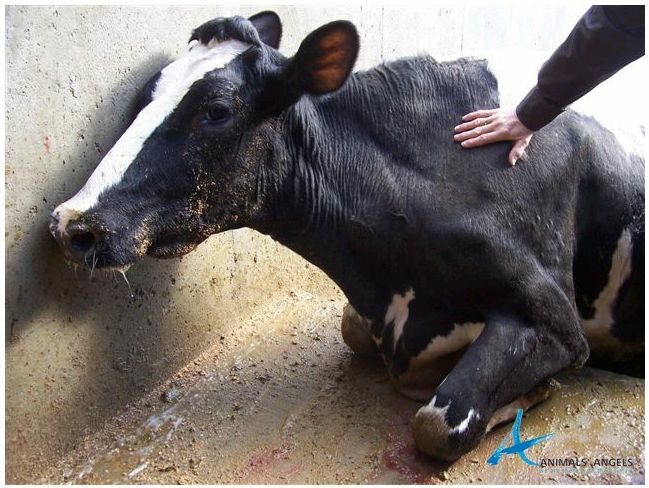 They do not receive adequate care, and their general condition is poor, due to their constant exploitation in clinical examinations and procedures, which are generally routine and non-invasive. You can imagine what would happen if within two days, more than 60 students have to perform a rectal exam on only two cows or 20-30 students have to take blood from one dog. This is physically impossible for the animals, and the majority of students give up the possibility to get a little practice during their studies, because of ethical considerations for the animals. We are the future veterinarians of Bulgaria and we think that good practical training is extremely important for our profession. However, it should be conducted under normal conditions and methods appropriate for a university in a Member State of the European Union in the 21st century, and with a humane and ethical attitude towards the animals. We are not less important than our colleagues in the other programs of this university and will insist on improving our learning environment." 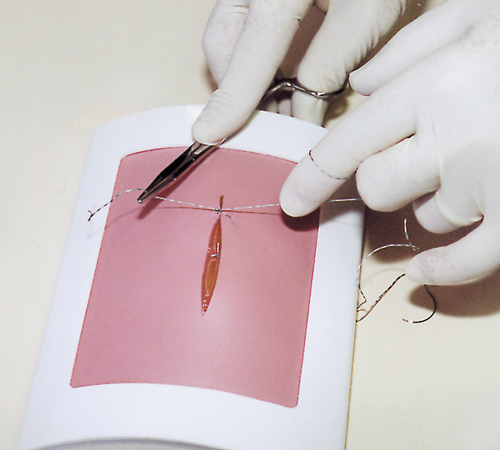 Why is the training of veterinary medicine students on performed on “training” animals? Why are these animals not being adequately cared for? Are there not enough sick animals, who the students could help while being trained? Why are future vets - people who have decided to devote their lives to helping animals - forced to witness their unnecessary suffering and participate in their exploitation during their studies? 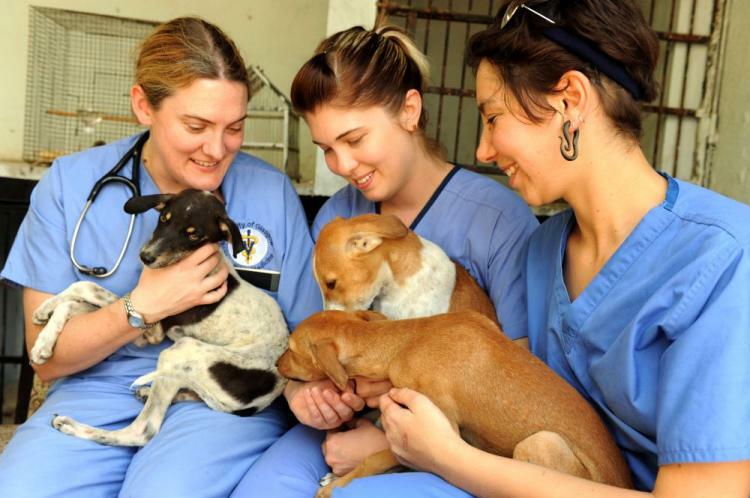 It is assumed that most people pursuing a career in veterinary medicine do so because they want to care for and help the animals. 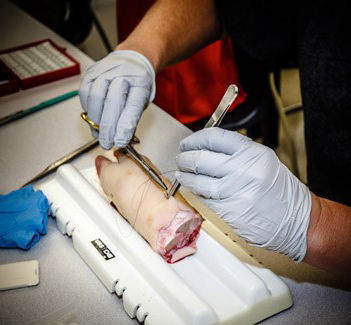 It is paradoxical to expect students to perform painful and medically unnecessary procedures on live animals. For this reason, many students refuse to participate in training, because of ethical and moral considerations for animals. Then how will they learn to work with animals? Of course, just like human medicine students need contact with real patients, veterinary medicine students need contact with live animals. In humane veterinary education programs, students gain clinical experience by being able to monitor and assist veterinarians in the treatment of animals who have real health problems and will benefit form the treatment. Some educational establishments create partnerships with local animal shelters that allow students to serve animals as well as assist in spaying procedures. We call on the President of the University of Forestry to provide modern, humane training methods at the Faculty of Veterinary Medicine and to replace cruel practices using live animals with ethical alternatives. We require the two cows, Maia the horse and the Naiden the dog to be urgently provided with appropriate care and living conditions, and the physically impossible for them procedures to be stopped immediately. We appeal to the students to support these requests and to demand from the university specific measures to improve learning conditions through humane learning methods. By signing, I authorize FB@StopAnimalTestingBG to hand over my signature to those who have power on this issue.